குழந்தைகளை ஒரு நிமிடம்கூட தனியாக விடக்கூடாது என்பதை பெற்றோர்களுக்கு இந்த கொடூரமான சம்பவம் நினைவூட்டுகிறது. In this shocking news, three-year-old twins - Nishant and Nakshia-washing machine drowned. Six minutes alone, she went to buy a Washing Powder in a beautiful store. It is true! 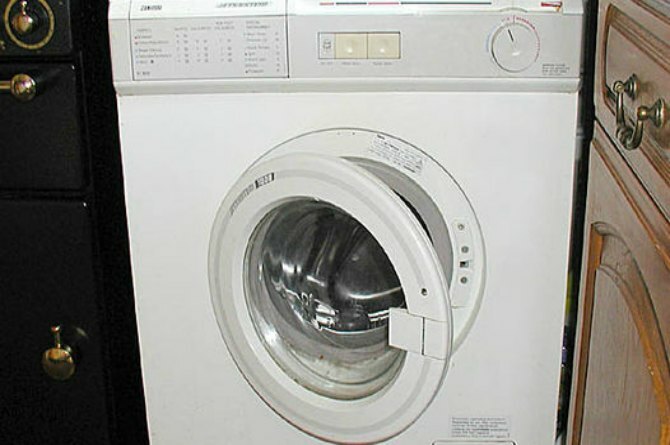 The police say that children may have gone inside the desire to find out what's going on in the Washing Machine. "The twins' mother, tuvaippatark the washing machine near the clothes immense. Machine inside see what's on the ground, the cloth atop parttirukkiraroru child and another child following cenrirukkiratuirantu children fall, suffocation uyirilantanarveliye no way to" the new telliya Deputy Commissioner of Police MN Rohini in the area. Tiwari said. This horrific incident reminds parents that the children should not leave alone for a minute. This incident was reported at around 12:30 in Rohini's Avantika housing complex. The baby's mother, Rakhi, realized that the Washing Soap was washing off the clothes. "When the villain returned home at 12.30 am, he did not find his sons in the house and when he went out, he called the father and the child in the phone and called the neighbors," said MN. Tiwari. Father also came home and started searching for the children, unfortunately, twins were found in the washing machine. "Ravinder immediately took him to a nearby hospital where doctors declared they were dead. The family is deeply shocked by this incident. All this happened in this incident. This incident should not be blamed for the mother of children for any reason.Actually, children can not leave alone for any reason. 1. If there is any urgent work outside the home, tell the child to take care of someone. 2. Keep your children under control of a carrier, lock the kitchen, electrical equipment and other dangerous items. Also, lock all windows and doors. 7. If there is a house in the house, make sure that the door is closed.If you are busy in the job, then the child will certainly not play on the balcony.